Ok, so I know these are kinda small, but hopefully it's good enough to tell. The tyrannosaur fossil was originally compacted, so keep that in mind if there's anything that would be attributed to that. Part of the vert process is broken off and fused to the larger bone, right above the vert in the picture, so there's a little inconsistency explanation right there. Sorry but those small photos are no use at all for anything. We need much, much bigger photos to be able to give any sort of possible identification. 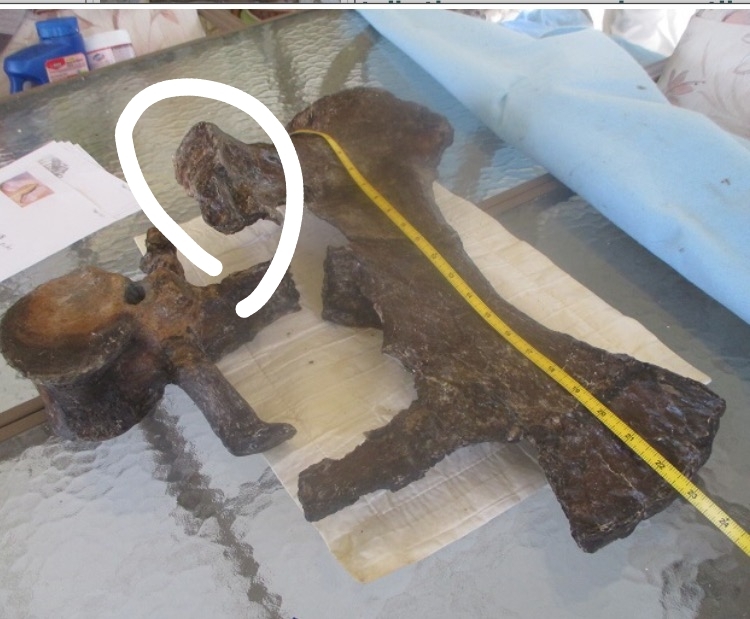 I'm also not quite sure what you're asking but in those last two photos I do see part of the vertebra broken off that is attached to what looks like an ischium, as well as another piece of bone that is attached to the distal end. Is this a fused double stegosaurus vert? If these images are being provided by a seller, you may want to ask him or her to retake the photos under much better lighting conditions. There seems to be a bit too much shadow and/or blur to make out the key diagnostic features to make a good determination. So would you say that's plesiosaur? What's is it that you would need to see from them? I would think that a seller would be obliged to provide a potential buyer with clear, brightly lit photos from different angles. It would be a reasonable request if the seller wants to make a sale. You wouldn't buy a T-rex tooth when the picture is a black tooth photographed in the woods at midnight during a rainstorm. Clear pictures better indicate diagnostic details and reveal if there has been any restoration or composite work. No its not a phalange it looks like a very beat up metatarsal. What is the formation and locality. I dont like it just does not look right. Actually, I think this is what it is. Does that look right? Now it looks right to me! 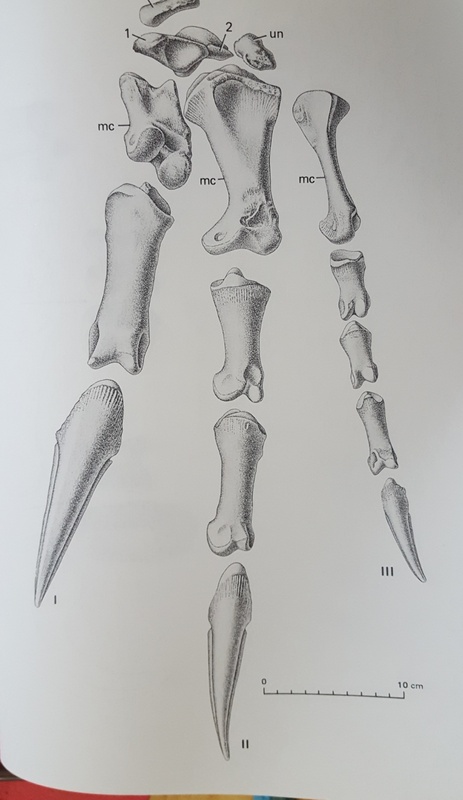 Ok had an opportunity to look at this and it does not appear to be a metacarpal. No idea what it is.